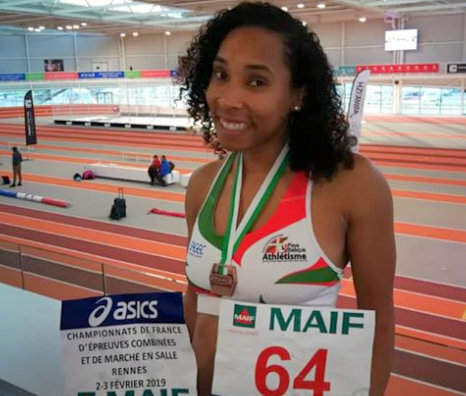 Shianne Smith competed in the French Indoor Championships in Rennes. Smith competed in the Pentathlon broke the Bermuda Indoor Record with 3,613 points, finishing on the Podium winning the Bronze Medal. Smith would clock 9:06 during the 60m Dash, Smith would finish he High Jump with a top leap of 1.52m, she record a throw of 11.27m in the Shot Put, before leaping 5.38m in the Long Jump finishing up with a time of 2:22.00 in the 800 meters.